Are you having a bad day? Read a book by R.S. Grey. Having a good day? Make it better. Read a book by R.S. Grey. I guess what I’m saying is that you should always be reading a book by R.S. Grey because it will without a doubt make your day that much brighter. 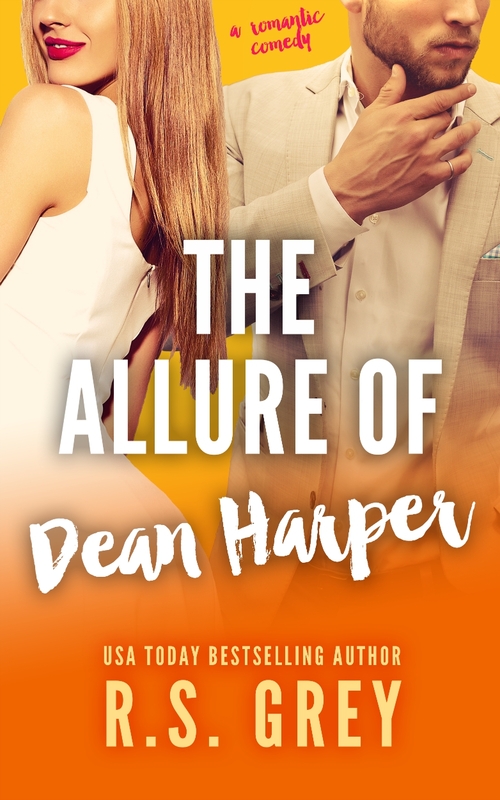 THE ALLURE OF DEAN HARPER is the story of Dean Harper and Lily Black, two of the most stubborn characters I’ve ever met. They have incredible chemistry but are too busy fighting for the upper hand to give in to their attraction. Lily moves to New York in the hopes of making it in the restaurant and food industry. She’s a food blogger and passionate about achieving her goals; she wasn’t planning on having Dean Harper as one of those goals, but c’est la vie. Dean Harper is successful – I am really freaking successful. He’s made a name for himself in the restaurant world and he’s got everything he’s ever wanted, except for love. When Lily shows up and starts challenging him when no one else would even think to, he gets the idea that maybe being successful and being happy aren’t actually mutually exclusive. R.S. Grey writes with the best kind of humor – her characters will have you laughing out loud 99% of the time. The other 1% you'll spend holding your breath, hoping to god things will work out between Lily and Dean.